May 16, 2016 – The Miniature X-ray Solar Spectrometer (MinXSS) successfully deployed from the International Space Station at 10:05:26 UTC (4:05 MDT) this morning. The spacecraft is healthy, pointing toward the sun and all deployables are out. The MinXSS team expects commissioning to last through the week. MinXSS will operate for up to 12 months and study solar flares, active regions, the quiescent sun, and the relationship between solar activity and the Earth’s upper atmosphere. The CubeSat observes soft X-rays from the sun, which can disrupt Earth’s upper atmosphere and hamper radio and GPS signals traveling through the region. The intensity of the soft x-ray emissions emitted from the sun is continuously changing. MinXSS data will also help scientists understand the physics behind solar flares. The soft X-rays carry information about the temperature, density and chemical composition of material in the sun’s atmosphere, allowing scientists to trace how events like flares and other processes heat the surrounding material in the sun’s atmosphere – which are still being debated among solar scientists. “We’re excited to see MinXSS begin its mission,” said James Mason, a graduate researcher at LASP and a co-investigator on the MinXSS project. 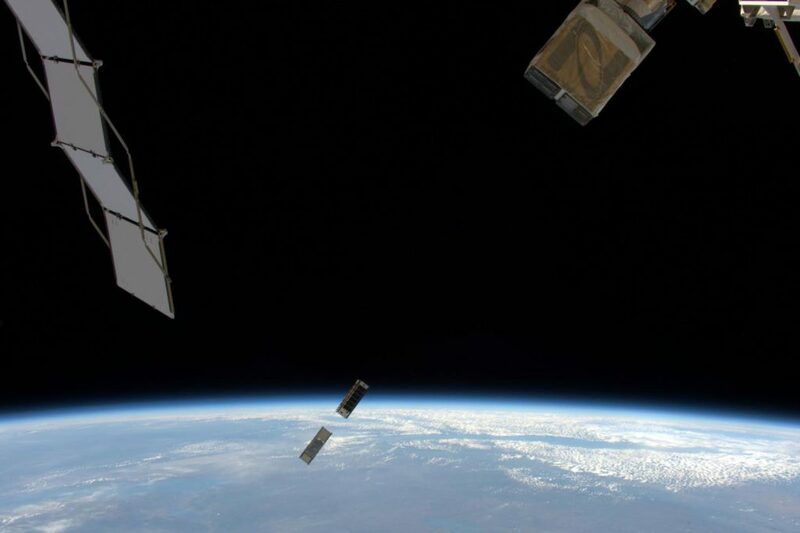 CubeSats are a new, low-cost tool for space science missions. Instead of the traditional space science missions that carry a significant number of custom-built, state-of-the-art instruments, CubeSats are designed to take narrowly targeted scientific observations, with only a few instruments, often built from off-the-shelf components. For example, MinXSS uses a commercially purchased X-ray spectrometer for a detector and an extendable tape measure as a radio antenna. Over 40 CU-Boulder students, including three undergraduates and one high-school student, worked on MinXSS. MinXSS continues a robust tradition of CU-Boulder students designing and flying CubeSat missions, including the highly successful Colorado Student Space Weather Experiment, which launched in September 2012. The MinXSS development program was funded by the NASA Science Mission Directorate CubeSat Initiative Program and implemented by the University of Colorado Boulder under the leadership of Principal Investigator Tom Woods. MinXSS was launched on ULA/Orbital-ATK OA-4 via the NASA CubeSat Launch Initiative (CSLI) program on December 6, 2015. NASA’s Educational Launch of Nanosatellites (ELaNa), managed by the Launch Services Program at NASA’s Kennedy Space Center in Florida, provide a deployment opportunity or ride-share launch to space for the CubeSats selected through CSLI. CSLI provides access to space for CubeSats developed by the NASA centers and programs, educational institutions and nonprofit organizations, enabling CubeSat developers’ access to a low-cost pathway to conduct research in the areas of science, exploration, technology development, education or operations. Since its inception in 2010, the initiative has selected more than 100 CubeSats for launch and deployed 46 small satellites as part of the agency’s ELaNa program. These miniature satellites were chosen from responses to public announcements on NASA’s CubeSat Launch Initiative. NASA will announce another call for proposals in mid-August 2016.